Here is Botanical Garden, the fourth block for the City Girl Sew Along. 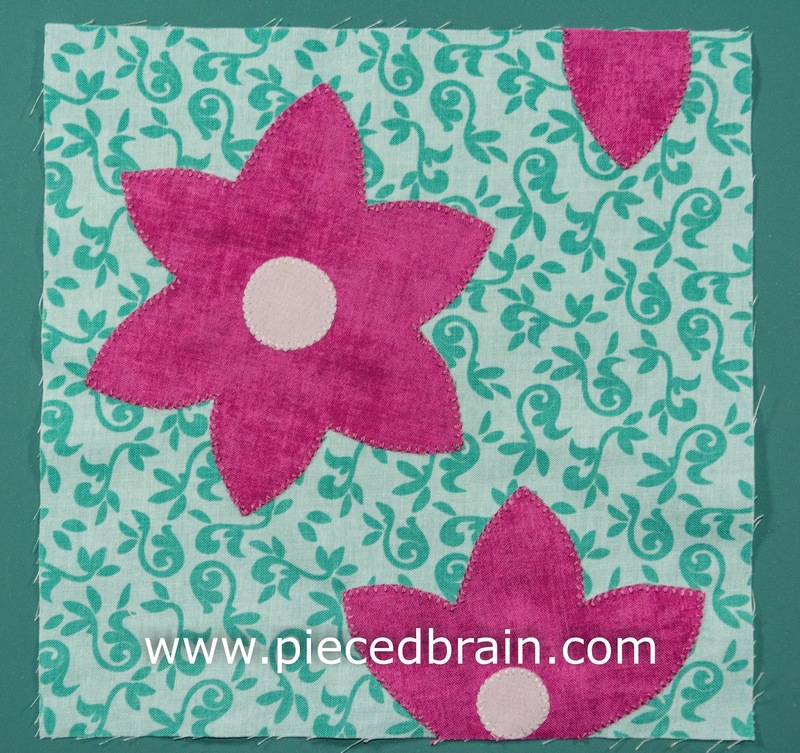 Flowers are machine appliqued using blanket stitch (use your favorite stitch). Very easy to make - are you following along? Trace templates (click here for PDF templates) onto fusible web using a light box or a window (for more details on how I do this, click here for tutorial). 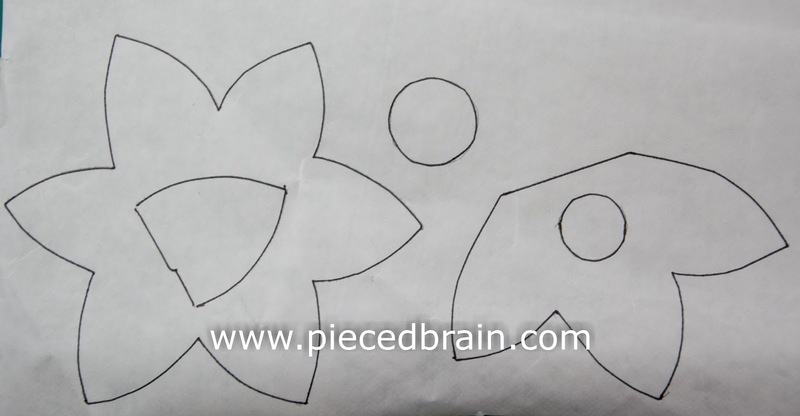 Notice that I traced a petal template inside the large flower, and a circle inside the half flower. I do this because I don't need the fusible web covering a large surface, even though fabric with HeatnBond Lite applied to its back still has a very soft hand. It is a way to make better use of the HeatnBond Lite, particularly when I am running out of it. 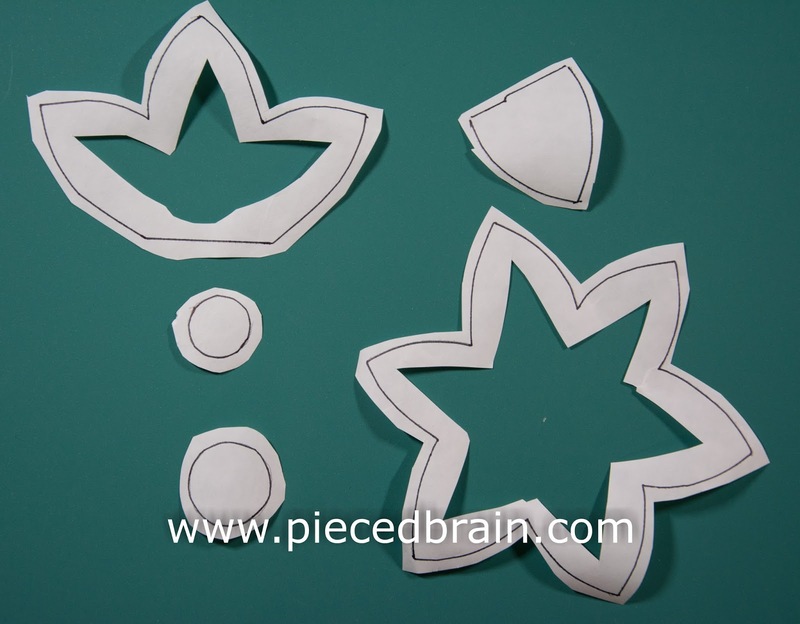 This is what template pieces look like after I carefully cut them out. They are now ready to be ironed to the back of the fabrics I am using for the flowers. Once templates are fused to fabrics, wait for fabrics to cool down (it takes just a few seconds) and, using sharp scissors, cut on the traced lines. Next, position applique pieces according to block picture, press, and machine applique using blanket stitches (or your preferred applique stitch). 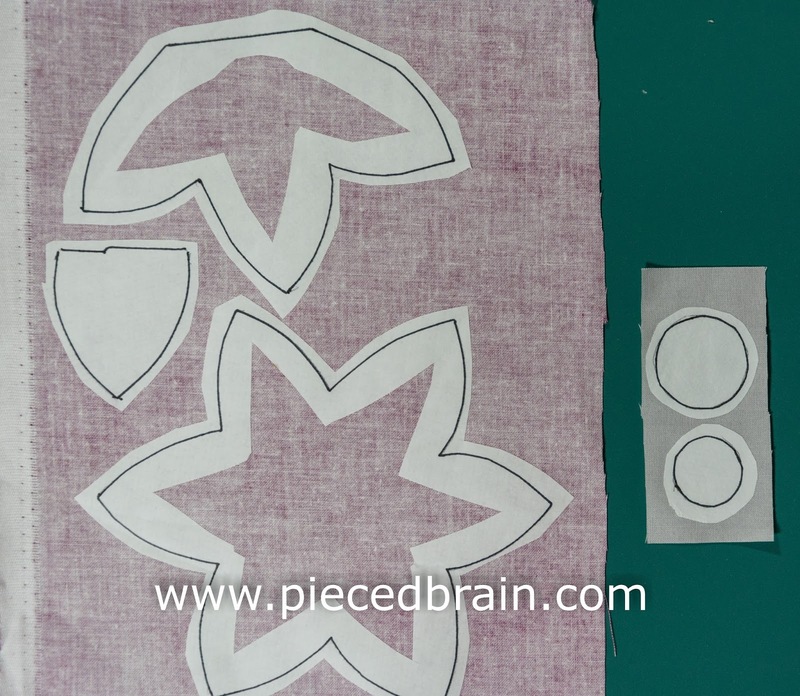 For detailed information on how I machine applique, see this tutorial again. And, here you have it. Block number 4 for our City Girl Sew Along. Send me pictures of what you have done so far and I will post them on my blog. Until then, have fun today!